On National Poetry Day (October 2014) four contemporary poets performed new work about the legacy of the First World War. 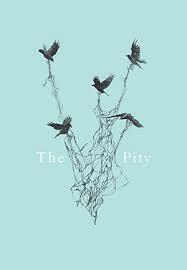 Two months later the Poetry Society published The Pity as a limited edition anthology. Given free to Society members (it has just now come through my letterbox with the new issue of Poetry Review) it is also available to purchase online. So The Pity contains substantial poems commissioned by the Poetry Society, in which Steve Ely, Zaffar Kunial, Denise Riley and Warsan Shire (chosen to represent “different poetics and perspectives”) respond to the centenary and legacy of the First World War. The Pity was published in collaboration with Cockayne – Grants for the Arts and The London Community Foundation to mark the centenary of the First World War. John Glenday’s poem, ‘The Big Push’ is also included, providing a short coda to the volume. 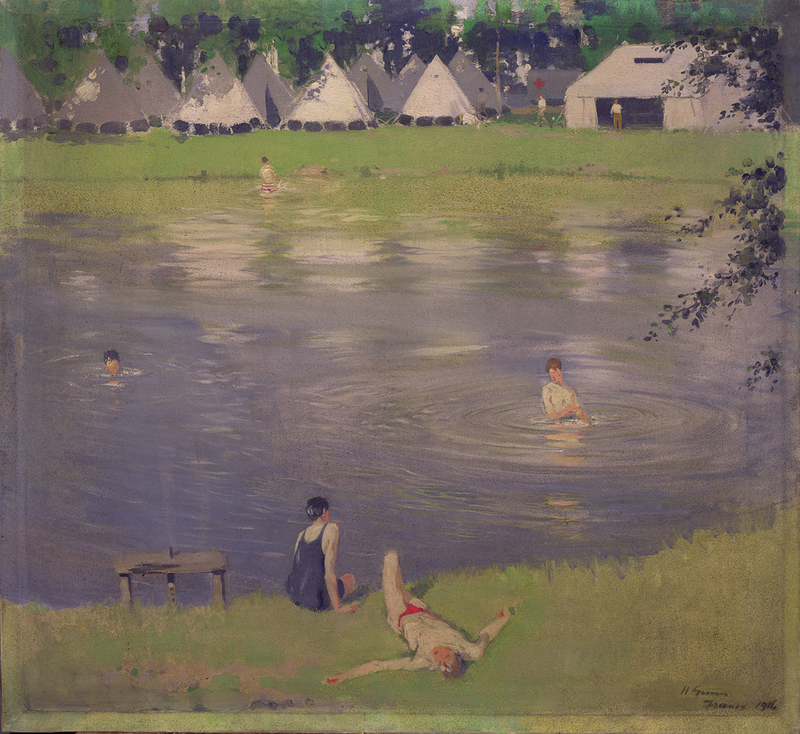 His poem takes inspiration from Sir Herbert James Gunn’s 1916 painting, ‘The Eve of the Battle of the Somme’, held in The Fleming Collection of Scottish Art. In this blog, I will discuss only the contributions of Ely and Glenday; on another occasion, those of Kunial, Riley and Shire. This time it’s oil, not markets. This time it’s oil, not borders. This time it’s oil, not ideas. like last time and every time before. Ely has said the whole sequence is much influenced by Henry Williamson’s fictionalized autobiography, A Chronicle of Ancient Sunlight, which presents the First World War as a sacrifice of the innocents on the altar of capital. The sequence is intended to portray a liberation from a “world-destroying growth-and-profit system”, not merely a release from the horrors of war. Though writing with commitment (see Morning Star: http://www.morningstaronline.co.uk/a-1063-Steve-Ely-commissioned-by-the-Poetry-Society-for-centenary-of-World-War-I#.VL0uW0esWss) there are two aspects of the sequence that prevent it ossifying into predictable attitudes: one a matter of materials, the other of technique. under a cenotaph. Where they weep. Using the same techniques, ‘The Vision of the White Crow’ springs from information that Hitler (while recovering from a gas attack at Pasewalk Military Hospital in 1918) experienced episodes of ‘hysterical blindness’ in which he claimed to have seen his eventual rise to power. Ely voices Hitler’s convictions that the “Reichsblood” was being drained by “socialists democrats profiteers bankers” but then propels his vision forward into the later twentieth century, “unwritten pages of world book turning”. We are whirled through Washington, Moscow, Sarajavo, Maastricht, past John Lennon, and (maybe?) Andy Warhol, towards the X-Factor and twerking with Angela Merkel. This is heady poetry of conviction and the persuasiveness of phrase-making (phrase-making that leaves syntax and causality behind) is intoxicating but perhaps is the intoxication that Auden warned himself against in the late 1930s. But Ely is clearly on the side of Shelley, echoing ‘The Masque of Anarchy’ in the final section, urging the disenfranchised – who, the poem has made it clear are always the victims of the powerful and wealthy in both war and peace – urging them to “Rise . . .Rise . . Rise”. 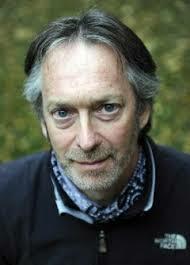 John Glenday’s single poem is as different as could be. It is an ekphrastic piece, the pictorial inspiration being Herbert James Gunn’s 1916 painting, ‘The Eve of the Battle of the Somme’. Much of the poem’s impact is already evident in the image: the naked, vulnerable, beautiful figures of pale youth, relaxed, hedonistic, while across the swirl of the River Somme itself, the ominous daubs and pointed shapes of the army camp are almost – but not quite – out of sight. ‘The Big Push’, in its 7 regularly lined quatrains, rhyming ABAB, is calculated to be a more conventional poem than any part of Ely’s. It’s a dramatic monologue, perhaps spoken by one of Gunn’s swimmers and it tries on many familiar tropes we might now associate with WWI and its poetry: the singing in the face of imminent extinction, the waggish black humour of the Tommies, the football playing, the stoical resilience of the trench soldier. We even have a reference to Shelley’s ‘To a Skylark’, “like an unbodied joy”. than the setting in of the ordinary dark, or a change of weather. I take the irony here to be at the expense of the narrative voice, whose steady, rather plangent tone and period-shaped imagination is not yet able to encompass the horrors that a modern reader all too readily associates with the battle to commence the very next day. I’m reminded of Owen again. In ‘A Terre’ (completed July 1918), his wounded officer blackly recalls Shelley (again! ): “I shall be one with nature, herb, and stone”. But Owen’s narrator re-shapes the Romantic idea of the one life by envying the lives of rats, cheese mites and microbes: he already understands the horrors that Glenday’s naïve narrator has yet to learn.